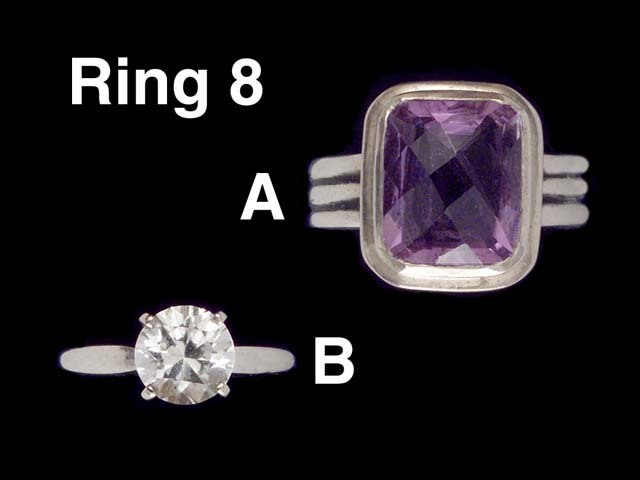 A) 13x11mm square cut faceted Amethyst (c. 6.75K) in Heavy Sterling Ring, size 8. ...... $45 Sorry! SOLD!!! B) Solitare 1.25 ct Ultragem, size 5. ...... $10 Sorry! SOLD!! !